YIN-YOGA has increased so much in popularity nowadays, finding naturally its place in the yoga world where Yang form of practice are prominent. 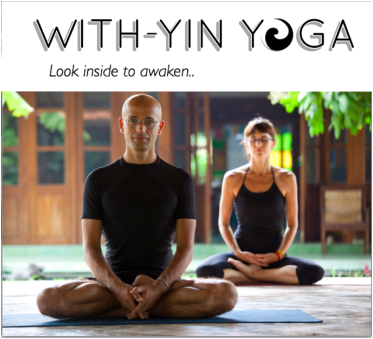 During the past few years Sebastian & Murielle have traveled extensively in Asia and Europe, teaching YIN-YOGA workshop's improving their teaching skill to unveil their Yin-Yoga. This Training is designed for teachers and dedicated practitioners with at least 2 years of yoga experience. Prior experience in Yin Yoga is an advantage, but not a requirement. Similarly - it is not required that you have done a Module 1 & 2 TT in Yin yoga, but you do need a keen interest in meditation and yoga philosophy. You do not have to wish to become a Yoga teacher to follow this training but a spirit to learn and dedication to deepen your practice are required. If you are unsure of your qualification for the training, please get in touch and we can advise you. SEBASTIAN and MURIELLE live in France, teaching workshops and leading teacher trainings both in Asia and Europe. Find out more about them and the workshops and courses they lead.